France, being such a massive country with vast expanses of agricultural land, has always been known as something of a paradise for farmers. The French people are very proud of their national produce and the emphasis on locally produced meat, dairy products and vegetables all adds up to a nation for whom farms and farmers have a high standing. Farmers and the farming profession (including, of course, wine producers) are a respected and revered part of French culture, and a high degree of legal and financial protection for farmers is built in by the government. Why buy a farm and farmhouse in France? Grants and subsidies can be available to help you to purchase a farm in France (Property grants available in France), but you will need to meet the criteria to qualify. You (usually) need to be under the age of 35 (unless you have children, in which case there is an additional allowance of one year per child), and you have to provide proof of qualifications in farming or of several years experience or employment in agriculture. In the case of French farmers/residents, a national diploma in agriculture must be obtained. The young farmer must also spend at least six months working away from home on a farm in training, although this can be relaxed a little for those who have families. The help available varies from year to year, and also from department to department, so always check out the situation with DDAF (equivalent to Ministry of Agriculture and Fisheries). Grants reflect and can be dependant on, the type of land covered by the farm, the amount of animals kept and the amount of land owned as well as the region. Certain regions, for example, the Limousin (Limousin Property Guide), which needs to boost its population and is largely dependant on farming families to do so, remove the age restriction to allow older farmers to qualify for grants. Grants may also be available to allow for the purchase of essential equipment. It is also helpful to farmers to know that should land bordering their farm come up for sale, the agriculture body SAFER rules that they should have first chance to buy it. Farming subsidies are, of course, partly governed by the Common Agricultural Policy, as agreed by the European Parliament. France is currently the largest beneficiary of farming related subsidies from the EU, and is fiercely protective of them. The French government has a proven track record of offering grants and subsidies to farmers, and anyone involved in farming in France or considering a move to France in order to farm, would be well advised to keep a close eye on what's on offer. Things move and change quite rapidly, and you have to have your eye on the ball to catch the best of the offers. For example, pig farmers in France were being invited to register requests for subsidies of up to 17,000 Euros to convert their pig accommodation from stalls to "loose housing", as long as they fulfilled the requirement of having a minimum 20 sows or 60 pigs, and applied before the 21st November 2012. The move was designed to bring French pig farmers in line with new European and National standards. So keep your eye open for similar offers. In view of the fact that 2011 was a very dry year, a one off drought (sécheresse) payment was introduced for those registered as farmers who had been affected by this. This included those who had land associated businesses such as equestrian premises who would be equally affected. So it is encouraging that such schemes are in place to help farmers, in the event that this happens again. The money may not be paid to you in cash. As is so often the case in France, it is subtracted from your Taxe Foncière bill (Taxe Foncière and Taxe d'Habitation - property tax in France). In short, it is difficult to lay down one law for all regarding subsidies and grants, as there are so many variations to take into account. However, such help absolutely exists, and the best way to get it is to contact your local authority to find out if you meet the criteria. The price of land to rent is again subject to regional variations. However, to give you an idea, in Brittany it is currently around 120 Euros per hectare per month. However, the quality of the land is another factor. In hilly areas much of the overall acreage may not be useable except perhaps for sheep, and so will have a lower value than good arable or pasture land. France is not immune to the current global crunch, and as a consequence farmers have become creative and looked to ways to capitalise on what they have and to diversity to earn extra cash. 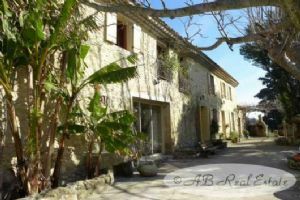 One popular method of doing this is to offer gite (Gites for sale) or B&B accommodation to visitors, and these businesses have enjoyed considerable success (Owning Gites and Chambres d'Hotes (B&Bs) in France). Many French farms have an abundance of extra buildings or outbuildings that can be converted into accommodation for guests. 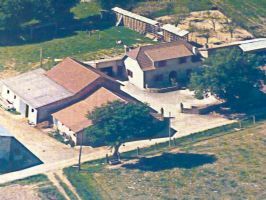 If you do fancy becoming a farmer in France, the choice of farmhouses and farm property is enormous. All over the country there are farms for sale of all different sizes and types, with possibly the most available in the Limousin, a paradise for farmers with its plentiful rainfall, temperate climate and lush grasslands. Below is a small selection of farms that are currently on the market. 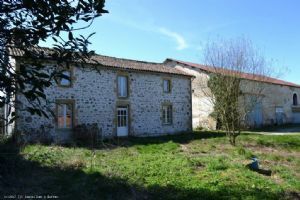 Situated in the rolling Limousin countryside close to Chateauponsac in the Haute Vienne, is this what is currently a working sheep farm with 12 hectares of attached land and a 3 bedroom house. The house comprises of Ground floor, large kitchen, wc and a large lounge of 37m2 with log burner 1st floor is 3 bedrooms and a shower room. Outside is an old cottage to renovate, 3 stone barns, sheep housing and other stone buildings, with stunning views across the countryside, ideal property for a smallholding, or equestrian use. 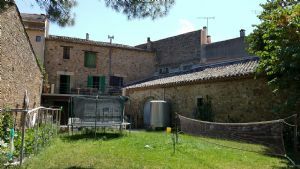 Big farm with its outbuildings and numerous outbuildings on 5 Ha. 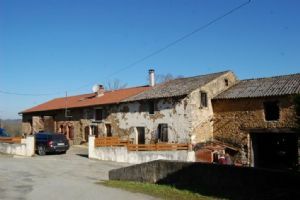 Big farm composed of a principal home and huge outbuildings on a piece of land of 5 hectares which benefit from subsidies. Great potential for farming, cultivation, cattle breeding, equestrian farm, etc... The property can be sold with less land. 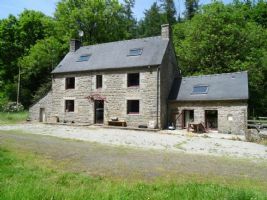 This property down a very secluded drive between two streams is a haven for wildlife and benefits from being away from it all but still only 20 minutes to Guingamp. The property in the past was used as a fishery and there are three lakes, Lake 1 35m x 50m approx., Lake 2 60m x 13m approx. and lake 3 60 x 31m approx. There is the house together with the old Moulin and further outbuildings. 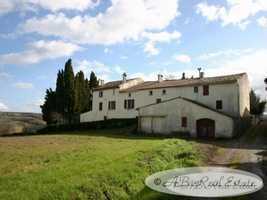 Farm of 49 hectares 25 with DPUs, mostly cultivated land with a bit of pastures and woodlands. Free of farming rental. 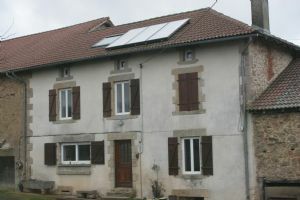 The property is situated near Confolens and about 50 kms from Limoges. The house is 150 m² and in good order but needs a bit of updating. Quiet area but near the town of Confolens. Farm set in 21ha of land with outstanding views. Stone built house with 4 beds, kitchen and large family room with chimney, bathroom and office, in all 200m² of living space Cave. Central heating. Solar panels for hot water. Large storage hanger, piggery, workshop with inspection pit, barns for livestock, in all 1756m² of farm buildings. 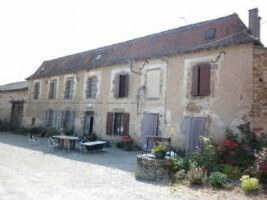 Dordogne - Spacious restored old stone farm comprising main house with self-contained gite (207 m2 approx. ), many outbuildings, large pool (12m x 6m), wells, a stream and magnificent mature and flowering gardens all set on around 10 hectares of adjoining land with pretty views just outside a small hamlet between Le Buisson de Cadouin and Lalinde, around 35 minutes from Bergerac airport. Wine farm with 2 houses, garden, wine caves, all new material and 2.24 hectares. Wine farm (biodynamy) with 2 accomodations, one with 200 m² living space to renovate, with garage, terrace and garden and the other of 120 m² (attached to the first one) with 120 m² of renovated living space, with a terrace, interior courtyard and wine making cellars. The whole is sold with a new wine making equipment (thermo regulated cellars, tanks etc…) and 2.24 hectars of vines. The rest of the wine production is produced by 7 ha of rented vines by the domain (fermage). Farm complex of 106 hectares, including 500 sheep and farm material. The farm is located in the Haute Vienne near the town of Bellac, 45 minutes from Limoges airport, and you will find an SNCF station, supermarkets, schools and all the usual commerce you would expect from a large town. Currently used to rear sheep, the farm would also be suited for equestrian use. 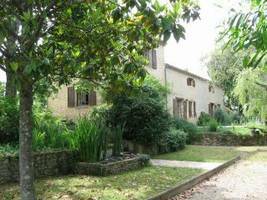 Located in the greater Avignon area, Provence, South of France, surrounded by a pleasant park of 1ha planted with many trees, this beautiful property has been restored into a comfortable home. It has generous volumes with two huge living rooms (61m² and 63m2) and 7 large bedrooms with very high ceilings. The two separate habitations could be made into one. Furthermore, the location is particularly interesting as it is close to amenities, motorway and airports. How many acres do you need to qualify as a farmer in France? We have seven horses and about twenty-one acres. Would we qualify for any subsidies or monetary help? Plus we are in our 50s. Thanks for contacting us. I am not aware of the amount of land you need to be considered a farmer in France, but the above article gives you advice on who to contact about grants and subsidies. Namely, the DDAF, which is the equivalent to the Ministry of Agriculture and Fisheries. Although monetary help is meant usually for younger farmers, it does differ with region so it might well be worth contacting them. You could also try your Mairie as local laws may also apply. Are there restrictions about keeping animals in barns close to neighbouring property? Thanks for contacting us, though I'm afraid I don't know the answer to your question. I would suggest you contact the people at your Mairie who should be able to advise, or at least point you in the right direction. The DDAF, which is the equivalent to the Ministry of Agriculture and Fisheries, may also be worth contacting. On your website, you state that "The price of land to rent is again subject to regional variations. 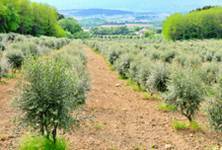 However, to give you an idea, in Brittany it is currently around 120 Euros per hectare per month." Could you please confirm whether this amount of rent is due monthly or yearly? Thank you for your answer. Thanks for contacting us. This article was written quite a few years ago, but I would say that the cost quoted was per month. (From 2016 figures, land for sale in Brittany varied roughly between 4500-5000 Euros/hectare. Rental figures seemed to be about 4500 Euros/year, depending on the quality of land.) For further information you could look at the SAFER and associated websites (http://www.safer.fr/ and http://www.le-prix-des-terres.fr/).